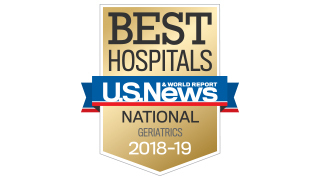 UT Southwestern Medical Center is recognized by U.S. News & World Report for 2018-19 as one of the top 25 hospitals in the nation for geriatric care and best hospital in DFW again. 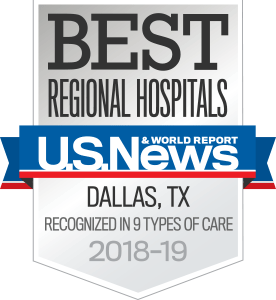 UT Southwestern Medical Center combines attentive and compassionate care with state-of-the-art medical resources to create one of the nation’s leading health care programs for older adults. The Mildred Wyatt and Ivor P. Wold Center for Geriatric Care provides both primary medical care and specialty consultation to patients 70 years old and older. We offer expert diagnosis by specialists who care about the needs of patients and families. Our geriatricians are specially trained to manage older adults’ unique and often multiple health concerns. They develop care plans that address the special health care needs of older adults. For those who are challenged by dementia, we offer a two-tiered, multidisciplinary team approach to caring for patients and assisting families. The team includes a physician, geriatric nurse practitioner, medical social worker, and geriatric fellow. Our geriatrics specialists focus on the complete individual, including social and psychological issues as well as medical conditions. Primary Care for those 70 years of age and older. Our Comprehensive Geriatric Assessment provides multidisciplinary assessment of older adults with complex medical and social problems, such as mobility and rehabilitation needs, assessment of dementia and affective disorders, and change in functional status. Senior House Calls for homebound individuals age 70 and above. Health care is provided in the older adult’s home where medical staff can best integrate the efforts of family members and community resources.